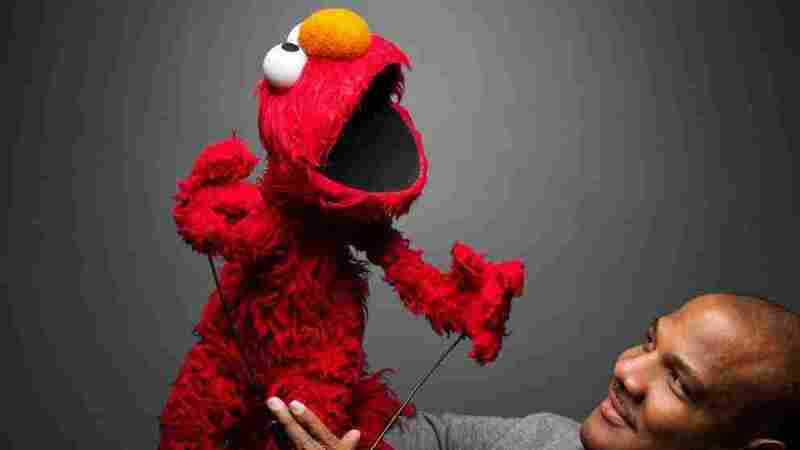 Kevin Clash: Making Elmo Come To Life For more than 20 years, puppeteer Kevin Clash has been the voice behind the lovable red monster on Sesame Street. Both Clash "and" Elmo talk with Terry Gross about performing with Jim Henson, and creating a fun, educational experience for preschool-aged children. This interview was originally broadcast on December 15, 2011. Being Elmo premieres on the PBS program Independent Lens on April 5th. When Elmo first appeared on Sesame Street, the little red monster had a deep voice and rarely laughed. 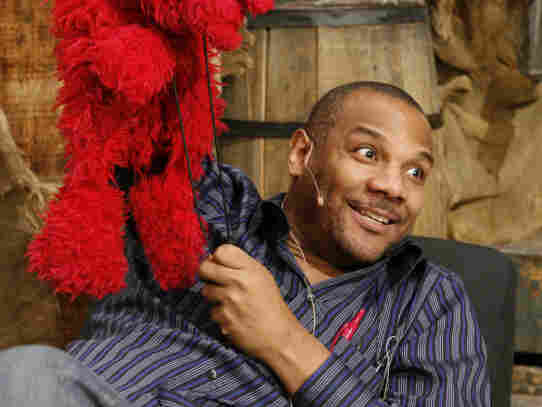 But then puppeteer Kevin Clash started working with the furry red creature. Clash, now the senior puppet coordinator and Muppet captain on Sesame Street, further developed Elmo's lovable personality and started providing his trademark voice. Over the past 25 years, Clash has transformed Elmo into one of the most recognizable characters on Sesame Street. Clash's story is told in the new documentary Being Elmo, which chronicles the puppeteer's journey from performing in backyard shows for his mother's home-based day care center, to working with Jim Henson and the rest of the Muppeteers, to becoming an integral part of the Sesame Street cast. Both Clash "and" Elmo join Fresh Air's Terry Gross for a conversation about Sesame Street, performing with Henson, and creating educational material for preschool-aged children. Clash describes Elmo as "a 3-1/2-year-old with a lot of energy [who] loves hugs and kisses, and loves to laugh." Clash thought that a falsetto voice would work well for a toddler-aged puppet. "[When playing Elmo], I really go back to being me as a child growing up," Clash says. "I definitely pull back into my childhood and how I was as a child. When I started doing live shows, I would try the show out [on my mom's day care kids]. And if they crawled away, I knew it was something I should take out of the show." Clash was barely a preteen when he started crafting his own puppets from scraps of material he found at his parents' house. His first puppet was Mickey Mouse, followed shortly by his own creations, who often danced and sang like the people Clash saw on TV. "I grew up listening to Motown and watching commercials, so the live shows that I was doing [as a teenager], I really used all of that," he says. "All my puppets knew how to do The Bump and The Robot and all the dances that were out at the time. So I really was influenced by TV and music, and incorporated them into my live shows." In high school, Clash started sewing puppets for the children's series Romper Room. He also started performing on local shows in Baltimore and on the television show Captain Kangaroo. After meeting one of the original Muppeteers, he was invited to join the Sesame Street float during the Macy's Thanksgiving Day parade. That's where he first met Jim Henson, The Muppets' visionary founder who died in 1990, and encountered the artistry of the puppets themselves. "When I actually saw a Sesame Street Muppet, the fur was so thick and rich," he says. "And touching the eyes — I could just find plastic spoons and stuff [for my homemade puppets] — their eyes were really hard and the plastic was really hard, and that meant it could last. It was really amazing how they made the mouths, how they sewed the mouths together, it really blew me away. ... You can get so much looking at it on TV, but up close and being able to really examine it, it was a dream come true for me." 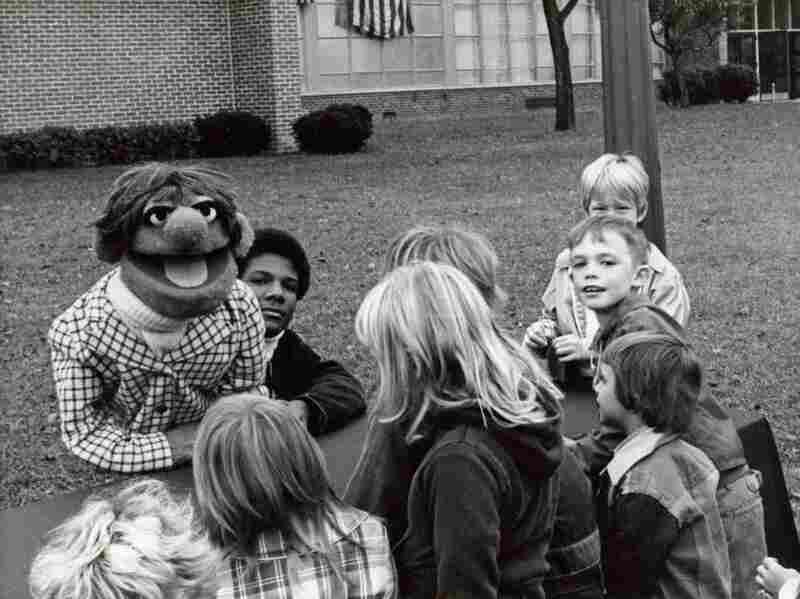 Kevin Clash (center) started making puppets when he was a teenager in Baltimore. Clash was asked to join the cast of Sesame Street as a puppeteer in 1984. Shortly thereafter, he started working with Elmo. The character began to catch on, and then became a hit. "The research department goes out and watches the show with kids, to see how they react to certain characters," he says. "And Elmo just hit the charts as far as them really connecting to the little red monster. And not only laughing with him and enjoying him — but also learning what they're supposed to be learning from the specific curriculum that was in the scripts with him." He says parents are sometimes a bit mystified that their children are so taken with the character — especially when their kids say "Elmo" before they say "Mom." "I get that a lot," he says. "It's like, 'Do you know my child's first word was Elmo?' But they understand it, too. It's nice to be a part of their life with their child." They really don't look at me when they see Elmo. They run to Elmo because it's a friend of theirs that they've been talking to and communicating with and singing with for so many years. We've found that the delusion is not broken by seeing us puppeteers. Clash says that children who visit the set of Sesame Street will often tell Elmo if they've gotten a new pair of shoes or a new brother or sister. And occasionally, they'll open up about other parts of their lives. "The time that it really changed — when it really scared me — was when 9/11 happened," he says. "A lot of children were relocated from schools down in that area, and so they asked Sesame Street if some of the puppeteers and the characters could meet and greet these children. And [before Sept. 11] ... they used to come up and give Elmo a drawing of Elmo. And it was very scary to [now] see the children bringing up drawings of a tower and the planes hitting the towers. It's very hard for me, because I don't know what to say to them. I was there to entertain them and take them away from that." Clash says he told the children that the events of Sept. 11 were really scary, and that Elmo was there for them. "[And then I'd say], 'Give Elmo a hug and let's sing,' " he says. "I tried to pull them away from it as much as possible. Mommy and Daddy were there to explain a little bit more, and we're there to entertain and try and take them away from it." Elmo and Clash, on the Sesame Street set in 2006. "When you're a performer, once you go into the character, you don't think about yourself. It's pretty interesting because you're watching a TV that's showing you what the camera's shooting, and sometimes you forget that you're performing at the same time — and you tend to laugh at what you're doing ... It's something that happens because you are creating something and you're thinking about that character." "All of us try to get some type of catchphrase or something that the puppet does to get you into the character. Like Jim Henson with 'Hi-ho, Kermit the frog here' or Fozzie saying, 'Wokka wokka' or Miss Piggy saying, 'Moi.' The laugh for Elmo was the hook for me to get to where Elmo needed to be." "We have a lot of children that will visit [the set of Sesame Street]. And what we've found is that they really don't care about us, about the puppeteers. They've watched these characters on the show, on TV for so long, that they're really like close friends. It's interesting. They really don't look at me when they see Elmo. They run to Elmo because it's a friend of theirs that they've been talking to and communicating with and singing with for so many years. We've found that the delusion is not broken by seeing us puppeteers. They see the characters in front of them. ... I get humbled by it all the time. The things that they tell Elmo, the expression on their face when they see their friend." "I love the simplicity of Sesame Street characters. I love that [Elmo is] just an orange nose and two eyes and no tongue — just a black mouth — and you just find that by just the tilt of the head or looking up, it says something. There's an emotion there."